It’s noisy, bone rattling, agricultural, but that’s why it’s fun! With due credit to the lads at Austin in the 50’s, they weren’t designing a car which had to run at motorway speeds, or be particularly comfortable for long drives. The car was designed as a taxi, so it would rarely exceed 30mph around town. However, when you do take it on long drives, the noise can become slightly wearing after a couple of hours. In fairness to the Nissan 2.7, it will cruise nicely at 60mph on a flat A-road, but any faster you emit a wacky-races amount of soot from the exhaust, blinding cars for miles behind. The car has an overdrive function which makes motorway driving slightly more bearable by shifting the gearing ratio (it actually locks the torque converter), in order to run a lower RPM for a given speed. It’s engaged by a small button next to the gear lever, and extinguishes a green light on the instrument cluster. One thing I would criticise the designers for, is the lack of legroom in the drivers seat; you find yourself in a very upright driving position, with your face near enough pressed against the windscreen. I’m 6’2″ and my sight-line is interrupted by the top of the windscreen… I think this is why you see cabbies in London resting their chin against the top of the steering wheel, as I’ve found myself doing the same after a couple of hours of driving. I don’t know if this has been rectified in the later TX models. The turning circle is remarkable – 25ft is the legal requirement in London, which was said to originate from the need to drop passengers at the Savoy Hotel, having navigated their small roundabout. This seriously comes in handy when parking or getting into small spaces! 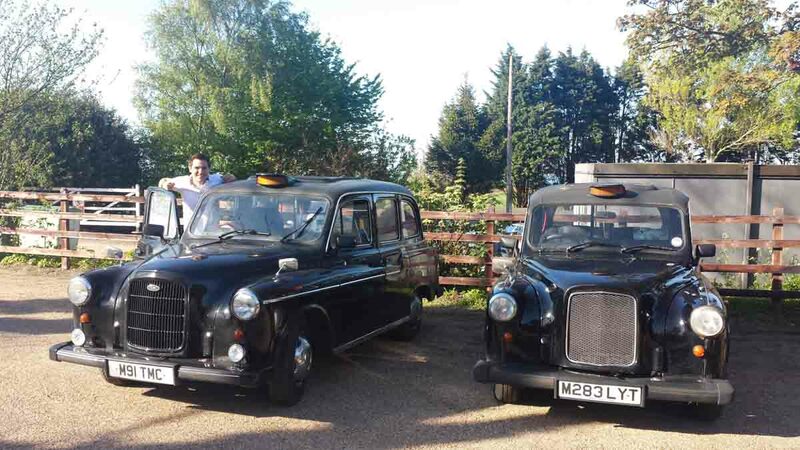 I live in the countryside, where the taxi is a bit of a head-turner. However, in the towns and cities it becomes part of the scenery. Having driven through London a couple of times, I have been flagged down by pedestrians in hope of a lift (most of who have been foreigners and may not have grasped the purpose of the ‘for-hire’ taxi light illumination). Trying to explain that you’re not actually a taxi can result in a couple of blank faces, but I guess that’s testament to how iconic these vehicles are. Some people just stop you and ask for directions, and Google Maps comes straight out! In terms of economy, I was reliably getting 35mpg. Anyone who claims to be getting much higher is either telling you a porkie, or they are running it on vegetable oil.